Illinois blues: Short History of Oak Park, Vol. 2, The Donald and the Clothes Horse: Senatorial splendor, House Decoration — the Town Hall Trail, June to October, 2013. The Donald of Oak Park, its senator in Springfield, where he’s high in the ranks of the Ruling Party, smooth-as-silk boss of Oak Park’s Democratic Party organization, took to the podium at Oak Park’s Carleton Hotel on a glorious day in late June of 2013 for his annual report to the Business and Civic Council. It was time to explain things to bankers, business owners and operators, and other issues-aware citizen consumers and taxpayers with skin in the game to varying degrees and/or psychic income from allegedly progressive political victories and enactments. The state was in a state of turmoil, confusion, and all-around hyperactivity. The two legislative chambers were at odds over a pension solution. The governor, a one-time gadfly with Oak Park roots, was soon to cut off legislators’ pay checks to punish them for inactivity. Guv is gone a lot, doing what he’s good at, running for office. Not fair. He raises taxes, doesn’t he? The Barack Obama we’ve been seeing lately is a different personality than the one that made a miracle run to the White House in 2008. 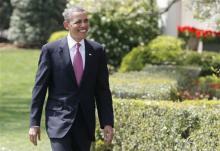 Obama.2008 was engaging, patient, open, optimistic and a self-identified conciliator. 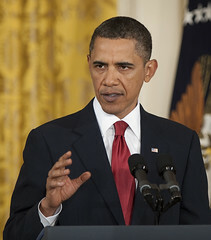 Obama.2011 has been something else — testy, petulant, impatient, arrogant and increasingly a divider. Look, annoy Cocky Locky and you get his dander up. Lese majeste and all that. It goes with the autocratic territory. Just one profile in courage after another. He takes a good picture sometimes. I’ll grant him that. Soak the rich? Forget about it. Oh to be in Madison, now the lefties are in heat. We are at every coffee shop on State, open to close, all the time. We will hang up wanted posters of you everywhere you like to go. We will picket on public property as close to your house as we can every day. We will harass the ever-loving sh*t out of you all the time. Campus is OCCUPIED. State Street is OCCUPIED. The Square is OCCUPIED. Vilas, Schenks Corners, Atwood, WillyStreet Occupied, Occupied, Occupied, Occupied. This is their warning to U. of Wis.-Madison law prof Ann Althouse, who with her husband Meade covered the recent teachers’ and other unions’ doings in detail as they happened. The screed goes on to say that Althouse must be silent from now on and make a variety of payoffs to various left-wing causes. Otherwise, she and her husband must leave the state … though they werent quite so polite. “So this is what democracy looks like?” asks Investors.com. No. Those orange shirts they were wearing should have been brown. 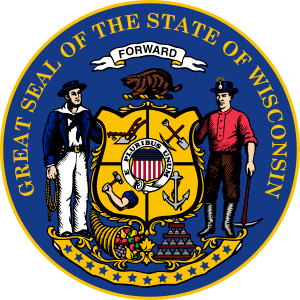 On Wednesday, Wisconsin Governor Scott Walker explained how the savings gained through the collective bargaining changes recently passed by the legislature will more than offset cuts in state aids to most school districts. That formula is altered, however, if school districts rush to implement new labor agreements before Act 10 goes into effect on March 26th. You have a money problem in yr district, don’t give in to unions’ rush to money for themselves. He and Roger Ebert have a good idea. We had opposed this new tax law because it is unconstitutional and counterproductive. It was supported by national retailing chains [such as Sears, see below], most of which are based outside Illinois, that seek to harm the affiliate advertising programs of their competitors. [Here is where intrusive government has its favorites — big campaign donors etc. — those who are more equal than others, to draw on Orwell.] Similar legislation in other states has led to job and income losses, and little, if any, new tax revenue. [Most such intrusions do just that.] We deeply regret that its enactment forces this action. Roger Ebert is free to tweet about Levi’s corduroy pants after April 15, but Amazon will no longer pay him if someone buys a pair. “Amazon will terminate my Associates account on 4/15, in order to evade fair and just [!] Illinois taxes. I have 20 more days to make a fortune,” wrote the film critic on his @EbertChicago account yesterday. Let the rest of us eat cake, eh Roger? Amazon.com Inc.’s battle with state governments over sales taxes is escalating. The online retailer on Thursday took action in Illinois, as it had threatened to do, to counter a new law aimed at forcing online retailers to collect sales taxes in the state. Hawaii, North Carolina and Rhode Island have enacted similar laws, and California is weighing action. Amazon is also in a court battle with New York over such legislation. The Illinois law, signed by Gov. 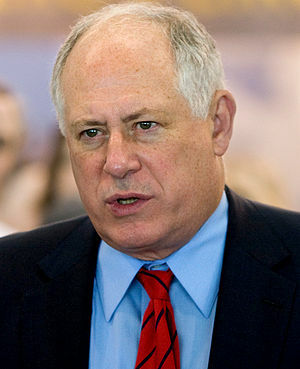 Pat Quinn Thursday, requires online retailers that work with affiliates in the state to collect sales taxes on purchases made by Illinois residents and businesses. Amazon responded to the measure by cutting ties to its Illinois-based affiliates, which are blogs and other websites that refer traffic to Amazon’s website and get paid commissions if customers make purchases there. The draconian so-called E-Fairness Bill signed into law by Illinois Governor Pat Quinn, was being drooled over by Sears Holdings Corporation (Nasdaq:SHLD), as they backed the proposal for companies like Amazon.com (NASDAQ:AMZN) to be forced to collect taxes even though they have no physical presence in the state. Sears said this in a press release: “Sears Holdings Corporation (Nasdaq:SHLD) one of Illinois’ oldest retailers, applauds Governor Pat Quinn’s approval of House Bill 3659, which will restore long overdue fairness to the tax system for retailers and taxpayers in Illinois. The “E-fairness Law” helps to correct a longstanding problem of out-of-state businesses not collecting and remitting the sales tax in Illinois, a practice that has put brick-and-mortar retailers at an unfair competitive disadvantage for far too long. The consumer? Who cares about her? Gummint wants the money. Doesn’t always pay to build a better mousetrap. The Amazon action has little impact on Illinois consumers. They can continue to buy directly from the company as well as pass through affiliate websites to reach its website, without Amazon collecting sales tax. But Amazon’s payments to those websites will be halted. 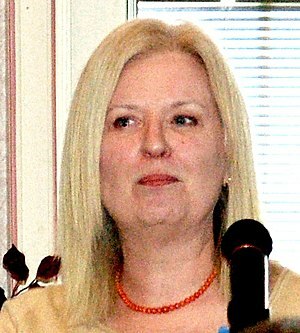 The 9,000 affiliates generated $611 million in advertising revenue and $18 million in tax revenue in 2009, said Rebecca Madigan, director of an affiliate trade group called the Performance Marketing Association, who estimates the state will lose 25% to 30% of that tax revenue because the affiliates will lose business, cut jobs or move out of the state. In other words, helping Sears means hurting someone else. That’s gummint for you, mucking around in the market place. Geez, it’s the burning of the Reichstag.